Milos Raonic flipped roles from a year ago, where he hoisted the runner up trophy. Twelve months later, his rocketing serve proved too powerful for Roger Federer and the 25-year-old Canadian won his first Brisbane International title. The 6-4 6-4 victory marked his 8th title on the ATP World Tour, denying the Swiss maestro his 89th career title. While it was just his second win in eleven meetings with Federer, Raonic stepped up in two of the most critical moments late in each set to earn pivotal breaks. The Canadian knew he needed to dictate in order to win. With his focused serve and powerful first strike on the ground, Federer was often on the defense, where he struggled on several occasions. 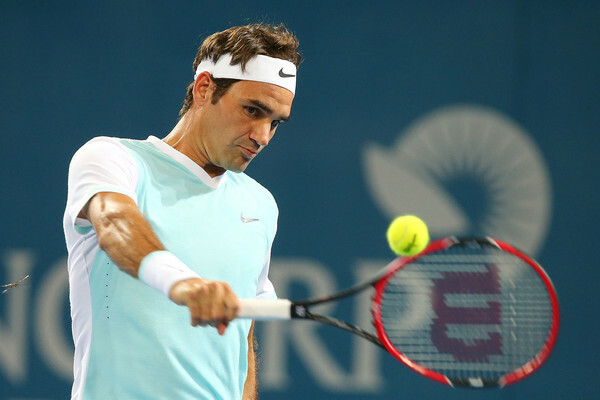 Federer chose to play after fighting through a bout of flu at the start of the tournament. Before winning the Brisbane International last year over Raonic in three sets, he was runner-up in 2014, where Lleyton Hewitt prevailed in three sets. For the 34-year-old Swiss, rest and recovery from the lingering affects of his flu symptoms is the priority, which he confidently said should be gone within the next few days. Taking a short flight from Brisbane to Melbourne, Federer will hit the practice courts as well as Rod Laver Arena before the draw ceremony, which will be held Friday morning.